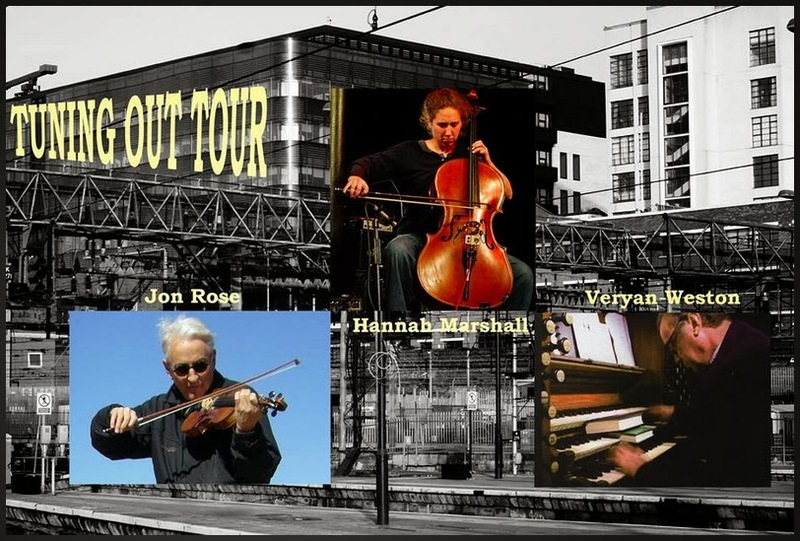 Un giro di concerti tutto all'insegna di microtonalismo, temperamento inequabile e accordature fuori standard, impiegando violino, violoncello e antichi organi con registri a tirante: Tuning Out Tour, immaginato da Veryan Weston e Jon Rose con Hannah Marshall, al via domani fino al 19 maggio, esclusivamente in chiese e cappelle secolari del Regno Unito tra Sheffield, Newcastle, York e Brighton. Tuning Out is a playful re-imagining of pitch relationships, exploring the lesser chartered areas of scordatura, microtones and unequal temperaments involving three improvising musicians who question the rules of equal temperament in their own different ways. They will be making use of some of the UK’s many underused pipe organs, and using re-configured and re-tuned string Instruments. Veryan Weston, long term explorer of underused and ancient instruments, and Jon Rose, re-builder and re-thinker of the instrumental properties of the violin, have been collaborating for the last 20 years creating recordings and concerts that re-invent possibilities of how instruments can sound, and who use altered tunings as a primary avenue for improvisation. They are inviting cellist Hannah Marshall, whose recent album Tulse Hill explores shifting de-tuned open string patterns, to join them in a collaboration over several concerts where the audience can expect to be part of a rich sonic experiment, and have the chance to hear instruments that would otherwise remain un-played.